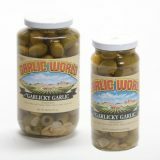 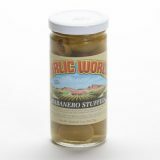 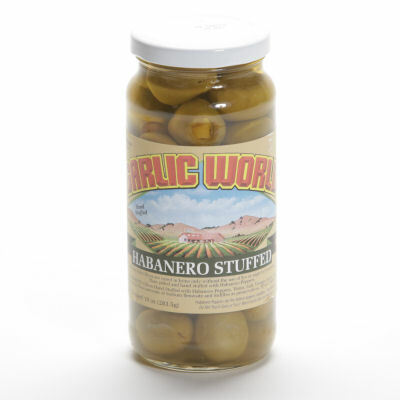 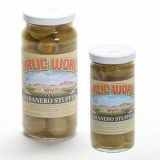 These olives are stuffed with some of the hottest peppers known to man, the habanero – eat with caution! Olives Hand-stuffed with Habanero Peppers, Water, Salt, Vinegar, Lactic Acid, FD&C Yellow #5. May contain trace amounts of Sodium Benzoate and Sulfites as preservatives.